Gathering systems are a collection of distribution, regulation, and separation equipment designed to “transport and control the flow of oil or gas” from its source to a particular destination. They act as a vital midstream component to the industry, keeping the flow of energy running smoothly and efficiently. As such, they require careful planning and construction. 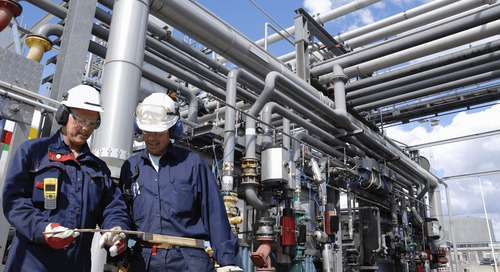 Engineers of gathering systems must be knowledgeable in many aspects of gathering networks, including flow fundamentals, erosion velocities, backpressure, and hydraulic systems. Their placement requires even more considerations. Platting, for example, is an important aspect of implementing gathering systems. Platting laws vary from state to state and from municipality to municipality. However, the general idea behind platting is to ensure the uniform and safe development of land parcels based on existing zoning and land-use laws. Before a well can be drilled or a gathering system installed, a survey team must assimilate deed, tax, and other property maps with property survey data and zoning laws. Surveyors and engineers will often use technology like AutoCAD or a geographic information system (GIS) to better represent that property survey data in a 2- or 3-D format. Before being approved for the proposed use, additional input from the public may also be required. That same survey team may also stake out the pad for the physical infrastructure and assist with delineating clearing limits, erosion and sediment (E&S) controls, and common access drives. They may also conduct mapping activities of their own, including aerial and 3D laser mapping when available public data is limited. Additionally, they assist engineers with the development of alignment sheets for the proposed construction. Alignment sheets act as as-built documents that direct the precise placement of a gathering system, pipeline, or some other structure. These documents indicate stations, centerlines, reference points, pipe descriptions, and additional easement information. In the end, the surveyors and engineers engaging in all these services must carefully coordinate to ensure a gathering system is safe and efficient. The post The Expertise Behind Placing Gathering Systems appeared first on Audubon Companies | Engineering, Field, Pipeline, Onshore and Offshore Solutions. 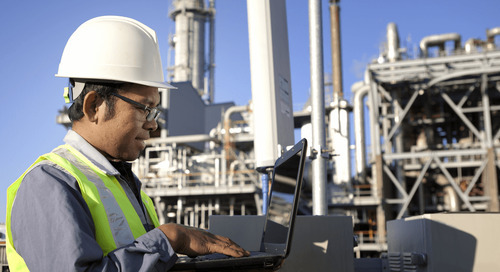 What Is Predictive Analytics and How Could It Help the Oil and Gas Industry?